Yesterday Games Workshop announced the launch of its new ‘Finecast’ line. You can read the announcement here. I was pleased to hear that the rumours circulating on the internet about the change to resin were true. 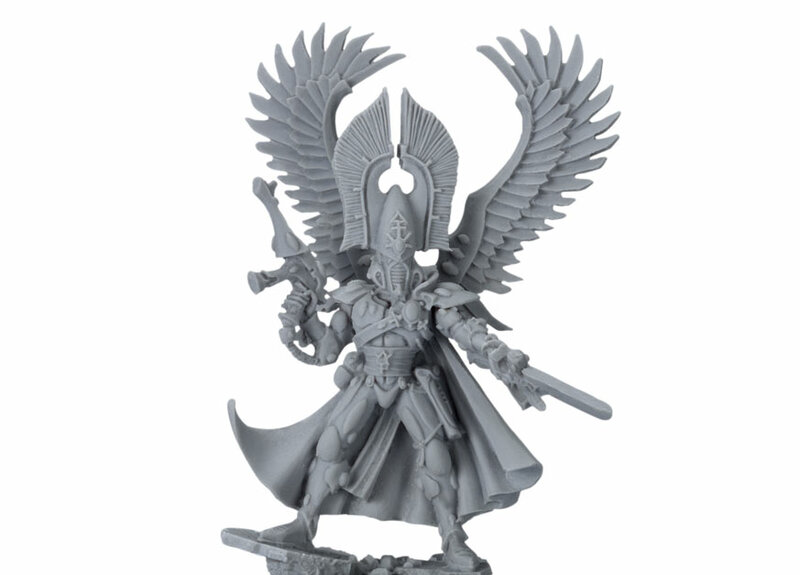 Although I haven’t seen the models in person yet the pictures of the new resin casts on the website look amazing and the detail is very crisp and sharp. Not only do the resin models produced from existing casts look much better than their metal counterparts, this move will allow Games Workshop to produce much more detailed models in the future. I can’t wait to see the models sculpted purposely for the Finecast range. There has been a lot of negativity about this move on the internet (which isn’t surprising when you consider the mentality of most people who post on forums). However, personally I think this can only be a good thing. I much prefer working with resin and I also find that it is a more suitable material for wargaming than metal. The paint on metal models has a tendency to chip much more than on plastic and resin ones and I wouldn’t want my carefully painted models to be damaged during a game. 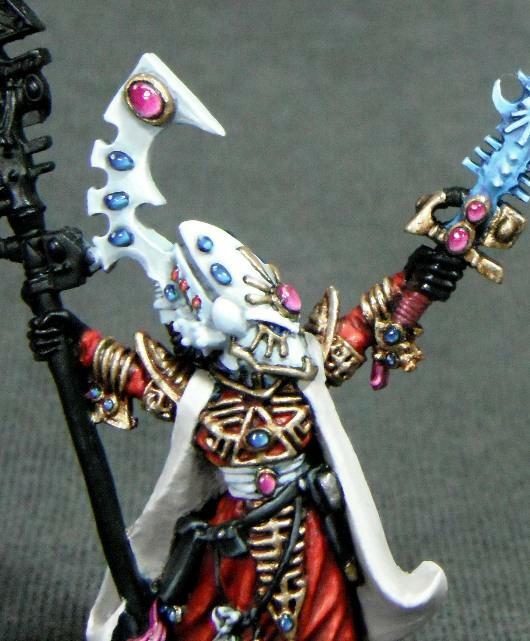 Recently I have been considering collecting an Eldar army but the number of metal aspect warriors needed was making me reconsider. However, now this won’t be a problem. 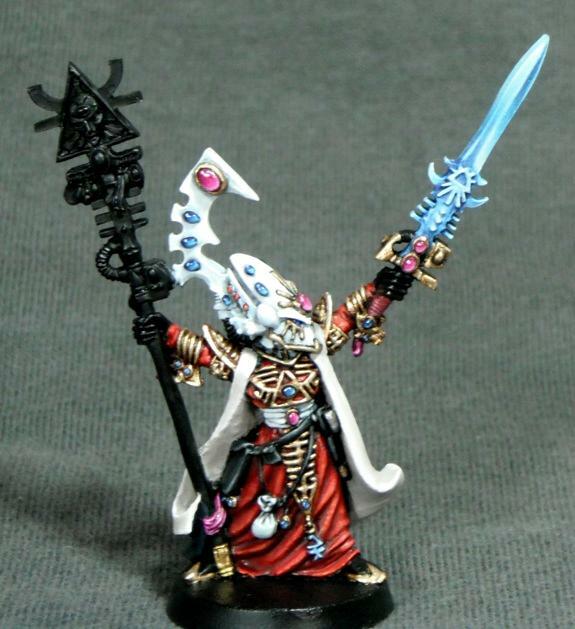 I think that the metal Farseer that I am currently working on (pictured below) will remain a display piece when he’s done and I’ll buy a new resin one for gaming. I’m pleased to see that Games Workshop is continuing to push back the boundaries of what is possible in the hobby. I’m very much looking forward to Saturday when hopefully I’ll be able to see some of these models for myself in a GW store. 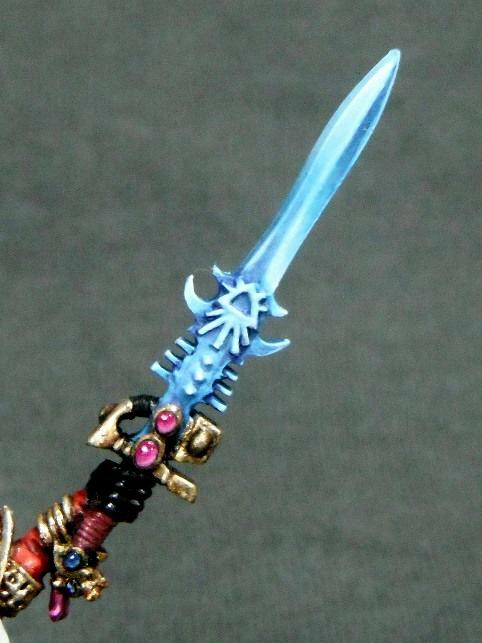 …that’s not the colour of my room, but it is the colour of my Farseer’s witchblade. This is a bit of a first for me as I don’t usually paint power weapon effects but I thought on this model it would be appropriate as it fits in well with the brightness of the overall model. It also suggests the special nature of the Witchblade. I found this a fun exercise in blending and I’m pleased with the smooth finish. Just the staff to paint now.